Hawai'i drivers are probably paying more at the pump than they would have been if the state's controversial gasoline price cap had not been suspended in 2006. A recovery in Hawaii's visitor industry, the state's top economic engine, is at least two years out despite improved performance in December and a respectable year-end finish. A high-surf warning is in effect for most north- and west-facing shores of the state. After months of contentious negotiations, UH professors overwhelmingly ratified a six-year contract yesterday that cuts costs for the university in the short term to tackle mounting fiscal woes, but also restores a 6.7 percent pay reduction after 18 months, promises lump-sum payments to reimburse money lost in the pay cuts and includes something in the last two years of the agreement that workers don't hear a lot these days — a pay increase. Unionized faculty at the 10 University of Hawaii campuses have ratified a new contract that cuts their pay by about 6.7 percent over the next 18 months but returns the money lost over the course of the six-year agreement. The votes are in, and the University of Hawaii's Professional Assembly has overwhelming voted to ratify a new contract with UH. W.H. Shipman Ltd. has gone to court to stop an adult video and lingerie store from operating in a shopping center across from Keaau Middle School on the Big Island. Hawaii will soon see a lot of red, in its blue territory. On Wednesday, the Republican National Committee (RNC) kicks off its winter meeting in Waikiki. A state House committee on Tuesday gave first-round approval to two proposals to try to reduce a tax hike many businesses said will either force them to close or to lay off more employees. The Hawaii Island Chamber of Commerce has weighed in on a bill that seeks to address a drastic increase in unemployment insurance tax rates, as well as drafted its own legislation that it hopes will gain support. Ten percent of Hawaii County's workforce was unemployed in November, the most recent month for which the numbers are available, according to the county's Research and Development Department. It took some getting used to recycling, but now the Big Island is the No. 1 county user of the Hawaii Deposit Beverage Container Program, said officials from Hawaii County's Department of Environmental Management. 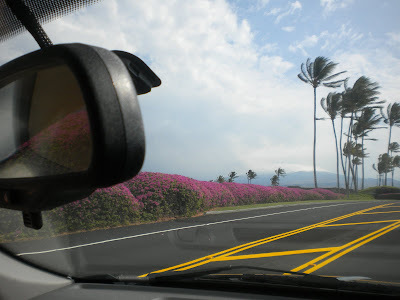 For a while, Maui's weather has been going through warm-and-cool, hazy-and-clear cycles characteristic of El Nino conditions, according to Glenn James, senior weather analyst with the Pacific Disaster Center in Kihei. The Kaua‘i Island Utility Cooperative Board of Directors on Tuesday approved three resolutions necessary for the co-op’s application for a $168 million loan to fund numerous projects in coming years.